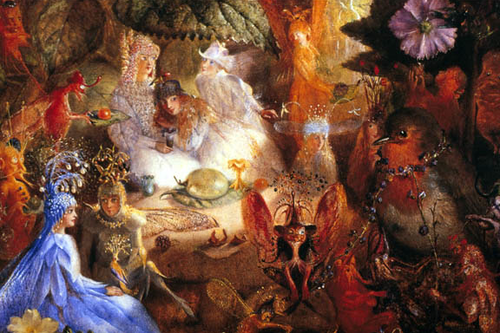 The word Faerie (fairy as spelt in America) is a word that originates from the 16th century. They are referred to by many names within various folklores such as “Wee Folk”, “Fair Folk”, “Little People”, and so on. “Faeries” are found within almost every European mythology ranging from Scandinavian to French folklore. Within a lot of European folklore, the term “faerie” is used as an umbrella term for various non-human entities and spirits. This includes, but not limited to, brownies, trolls, elves, banshees, cait sith, goblins, gnomes, and so on (a list of faeries). There are even some folklore, fairy tales, and stories that include entities like griffins, dragons, and unicorns as “faeries”. The meaning of the word has changed over the years. There are in fact various different meanings for the one word Faerie (as well as many different ways of spelling it). Many definitions consider faeries as “invisible beings” or “Spirits of nature”, but it changes depending on the certain tradition, lore, cultural, or personal background. Now, I’m sure quite a few of you picture fairy as the pictures above. A small humanoid being (usually female) with butterfly wings or various other insect like wings. This “definition” of fairy became very popular during the Victorian era (mid to late 19th century). The genre of faeries and fairy tales was quite popular during this era . What really are Faeries? The most consistent definition is “Non-human” and “Supernatural”. They are non-human beings from folkore, fairy tales, myths, and legends; however, many agree that things like gods, angels, demons, and ect are not faeries…or are they? It is also noted that some believe the Faerie to be the gods of old. The gods that have been forgotten. What do I think faeries are? Now, we are venturing into the area of my own personal belief (UPG). Faeries are the beings from the realm next door. They are entities born from the dreams of the gods (and some even the collective dreams of mankind). The word “Faerie” is used to describe these creatures that originated from that land, the Faelands (Feylands, Faylands, Farielands). They possess “supernatural” abilities and have an ability towards magic. The word “Faerie” or “Fae”, as I use it, is an umbrella term for many different beings from the Faelands. If it originates from the faelands, then I typically consider it a faerie. They are, and should be considered individually, beings of various backgrounds, personalities, “morals”, appearance, and so on. 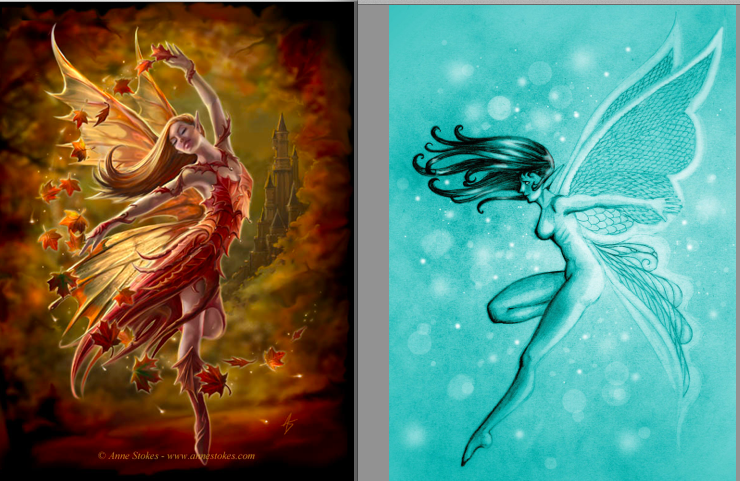 Faeries are both beautiful and grotesque. They are both powerful and feeble. They are both wise and foolish. They are beings that should be considered as individuals, even though they do have a “group” mentality at times.